Quite an eclectic mix of interests – but oh so personal! 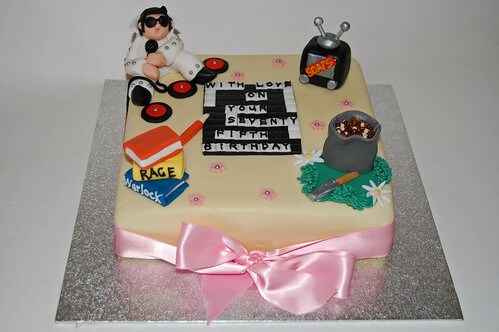 The 75th Birthday Hobbies Cake – from £80. Mandy is truly inspired. My Mum-in-Law absolutely loved her cake – it looked and tasted wonderful. If you are looking for a great present, let Mandy help. I’ll be back!